Browse our survey equipment, field supplies, print products, and more. We print many different types of projects. Locally owned and operated since 1984, Universal Reproductions & Engineering Supplies is your professional copy centre in Kamloops. We offer printing for professionals, individuals, businesses and more. 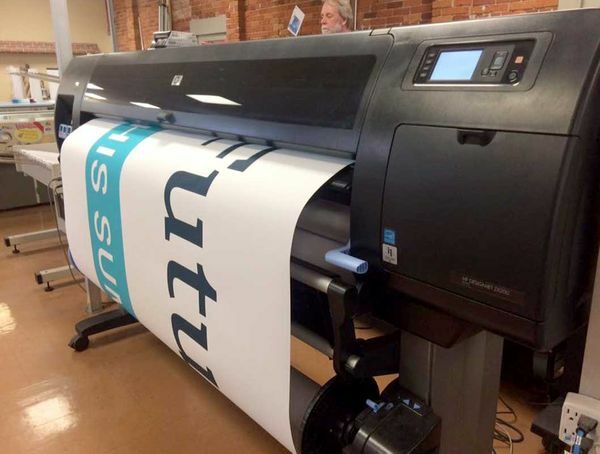 We can create outdoor signage, die cut decals, banners, signs, posters and more. All our jobs are done in-house, so we ensure quality at every step. If you are a surveyor or engineer, we also stock a large inventory of tripods, builder levels, and more. We pride ourselves on being a one-stop shop, which is why we offer free parking so that you can come and take the time you need. With 5 team members and over 100 years of combined printing experience, Universal Reproductions & Engineering Supplies can get you the results you want, when you want them. Working in-house ensures competitive prices for you, faster turnaround times and consistent quality. Full Digital Printing, Copies, and More! Phone or stop by for more information. We are located right downtown in Kamloops. Is your file too large to email? Use our convenient file upload from here. Zip files are not accepted.